How Quickly Does a Credit Score Go Up? Your credit score is a constantly fluctuating number between 300 and 850 that credit reporting agencies assign to you based on your credit history, and which lenders use to evaluate you as a borrower. Seemingly harmless activities, such as applying for new credit, can lower your score, and it can take years to recover the lost points. The good news, though, is that you can raise your credit score using proven methods. When you apply for new credit -- such as an auto, mortgage or school loan or a credit card -- the creditor reports your information to the nation's three leading credit reporting agencies: TransUnion, Experian and Equifax. These agencies keep track of what types of credit accounts you have, how much credit is available to you and whether you make payments on time. Using this information, each agency gives you a credit score, generally between 300 and 800. Most people have scores above 700, which creditors prefer for low-interest credit, but the average credit score is 692 as of 2011. Your credit score helps creditors decide how much they can benefit from lending to you. If your credit score is 820, for example, creditors are likely to offer you loans at relatively low interest rates because they think you're likely to repay the loan on time. On the other hand, if your credit score is 580, for example, creditors are less likely to approve you for loans, and those that do are likely to charge you higher interest rates as they perceive you as a financial risk. Actions that lower your credit score are the same as those that make lenders wary of lending to you. They include shopping for multiple new credit accounts in a relatively short period of time, carrying a lot of debt relative to your available credit, missing or late payments and a short credit history. Every time you or a creditor inquires about your credit history, it lowers your credit for two years; when you miss a payment, it lowers your score for seven years; and when an institution takes legal action, such as a tax lien, it can lower your score for seven to 15 years. Though raising your credit score significantly can take more than a decade, you need only do the opposites of the actions that lowered your score in the first place. First, request your credit history and credit score from one of the three major credit reporting agencies. This costs between $1 and $39.95 as of 2011. Contact the agency if you spot any errors in the report, as this can raise your credit score. Use your credit report to determine what actions have lowered your score, whether making late payments, missing payments or having a high debt-to-credit ratio, for example. Your payment history makes up 35 percent of your score and your debt-to-credit ratio makes up 30 percent, so pay your bills on time and keep credit accounts open after you pay them off to improve these. When you shop for new credit, do so within a 14-day period to minimize the effect of creditors' inquiries on your credit score. 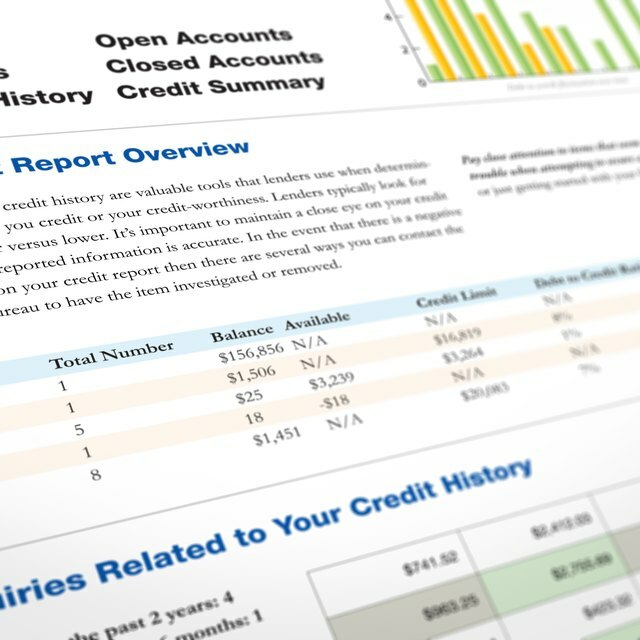 Are Multiple Hard Inquiries on Your Credit Report Rolled Into One If in a Short Amount of Time? Companies often claim they can raise your credit score, no matter what lowered it. Such claims are typically the sign of a scam, according to the Federal Trade Commission. The companies that make these claims commonly encourage customers to engage in illegal activities, such as using an employer identification number instead of a social security number to hide a low credit score. Avoid such companies to save yourself time and potential legal issues. Though it's not always a quick process, you can repair your own credit score.